The project showcase page is highly recommended to be viewed with a HiDPI screen. Thanks! A cross-platform task management mobile app that makes the user easily and efficiently track and manage task workflow progress. Taskit, a Bay Area-based startup, builds a web-based task management application that helps people optimally manage tasks of various shapes and sizes. However, their users found it was difficult to quickly see at a glance the task progress as well as manage the workflow whilst on the go. 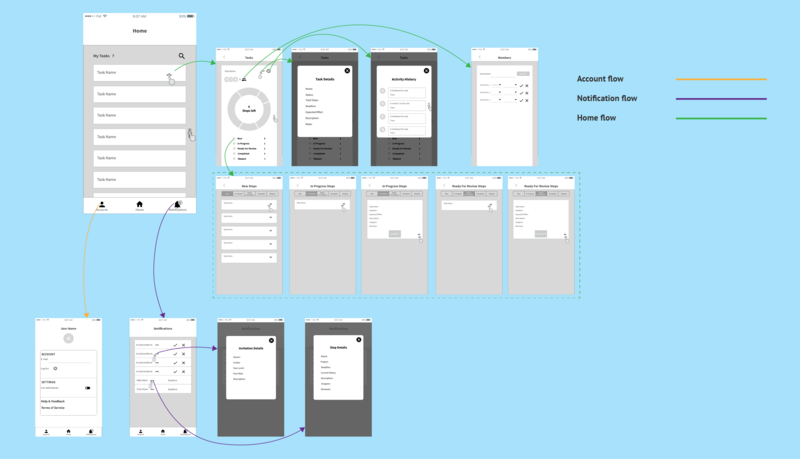 After deciding to build a cross-platform mobile app, the founder came to me and asked to help them address the problem and design the UX & UI of this app. I adopted the Double Diamond approach to get a solid understanding of the problem to solve and then progressed through to the implementation, following the Agile process to iterate with quick feedback from my client. 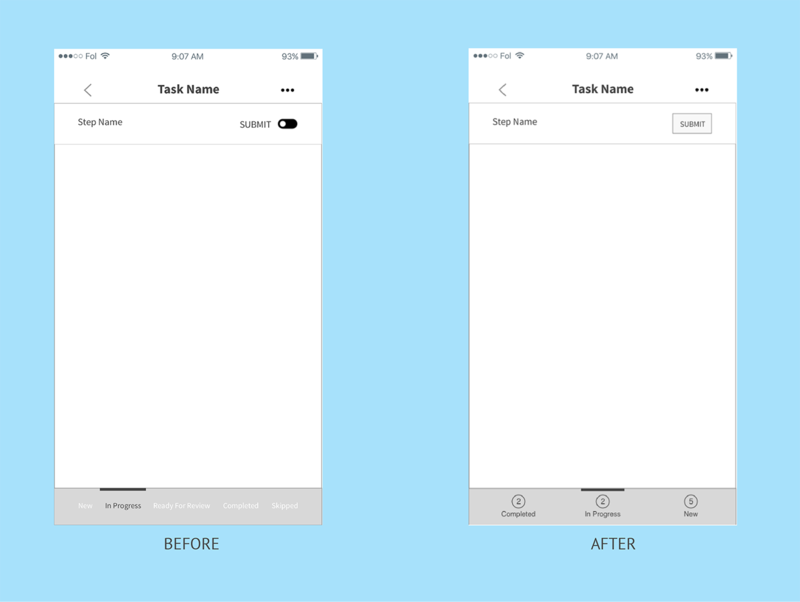 As a freelance UX designer, I worked on designing and iterating wireframes, creating pixel-perfect mockups of the mobile app. With user research and competitor analysis, I helped the client capture user needs and turn those needs into solutions that can solve users’ pain points. I also collaborated with the developer in launching the app. This is a 5-week project. Sherry Zhou. Founder at Taskit. In the kick-off meeting with the client, they walked me through three key features of their existing web-based application. Also, according to the market analysis and research done by their product manager, they want the mobile app to mainly focus on managing the tasks users already created on their web-based applications. Replying on the user data collected by my client, I helped them discover user needs, pain points, and desires through the synthesis. Synthesized user data with post-it notes. 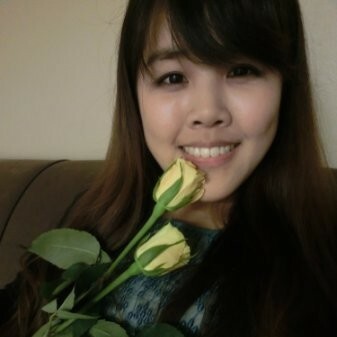 Ming, who is planning to travel in U.S. during his summer break, needs to apply for a US visa. As there are many documents as well as time-sensitive steps for the visa application, he is looking for some task management tool which allows him to easily track and manage the document preparation and the application process anywhere, anytime. X Abroad, a study abroad agency, helps their clients apply for overseas programs in many countries. To improve the efficiency of their service, the agency is looking for some task management tool that makes program advisors efficiently supervise their applicants (e.g., preparing the transcript, personal statement, etc.) while keeping those relevant others such as applicant’s parents in the loop. Given the context of Taskit mobile app, I conducted a competitor analysis that focuses on assessing three popular project/task management mobile apps (shown as below) to gain an overview of how they are designed for the user to track and manage the project progress. None of them has a specific feature to access a quick overview of the task progress. 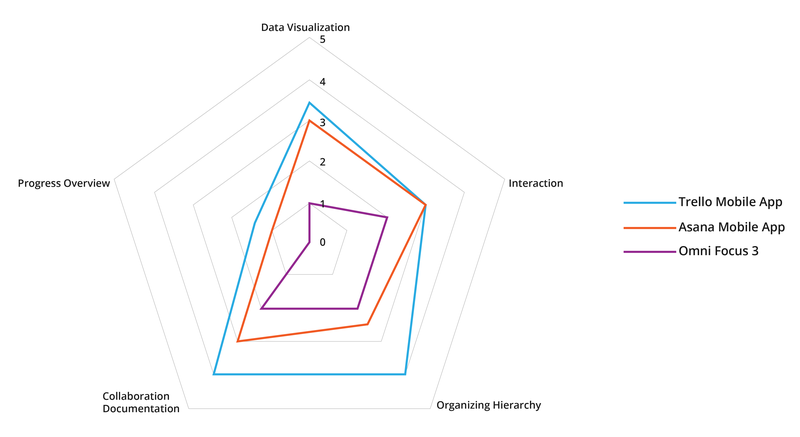 Data visualization should be improved. Interactive actions can be more intuitive and efficient. how might we design the Taskit mobile app that helps the user easily keep track of their tasks and manage the workflow in just a few taps while keeping relevant others in the loop? With the Home flow, the user can get a full list of tasks they are involved with; for each task, the user can first see at a glance the overview progress of the task with the donut pie chart; then, by tapping each workflow status, the user can track and quickly manage specific steps under those status with the tab panel (will add color coding scheme when it goes to high fidelity) based on the Kanban technique. 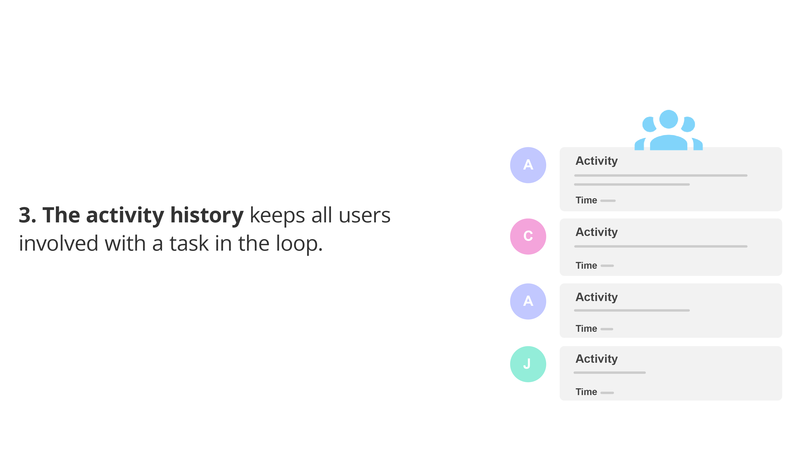 Also, from the overview screen, the user can access the details of each task, track the activity history, and manage other relevant users. 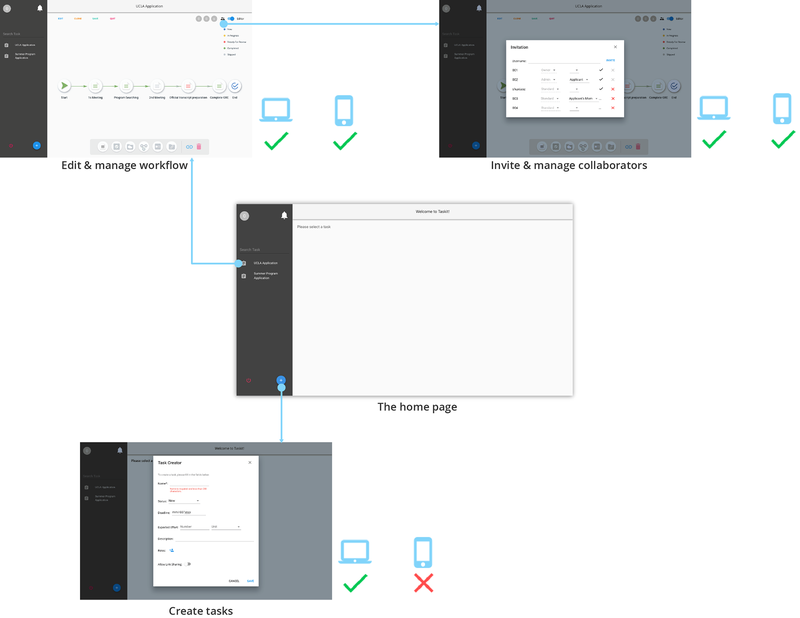 The Notification flow enables the user to check and process the collaboration invitations as well as view steps which approaches the deadline soon. 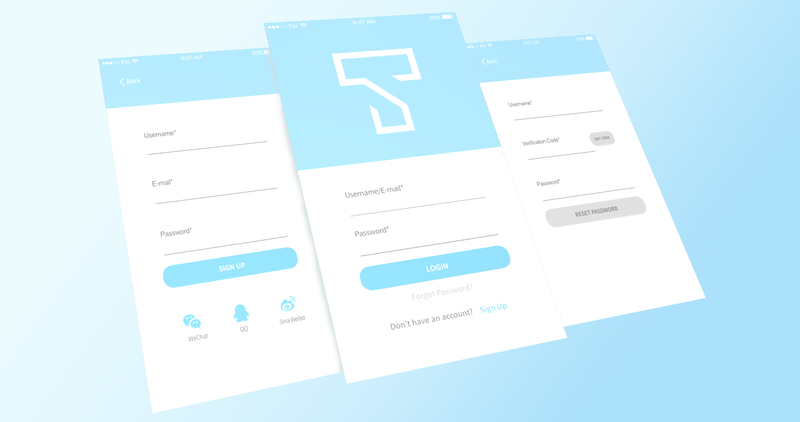 The Account Managing flow allows the user to edit their personal account and log out the app. The data visualization design with segmented donut chart efficiently presents a quick overview of the task progress. 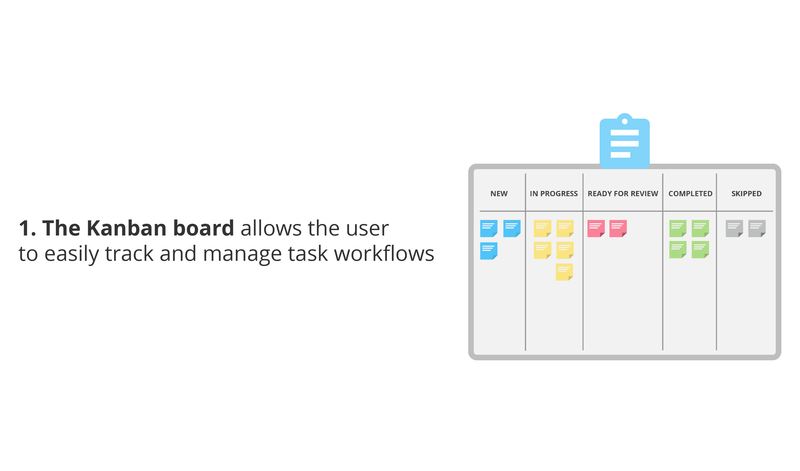 The tab panel with the use of the Kanban technique makes it simple to flip through steps in different workflows of each task. The notification flow not only informs the user about task collaboration invitation but also serves as a reminder of the due dates. 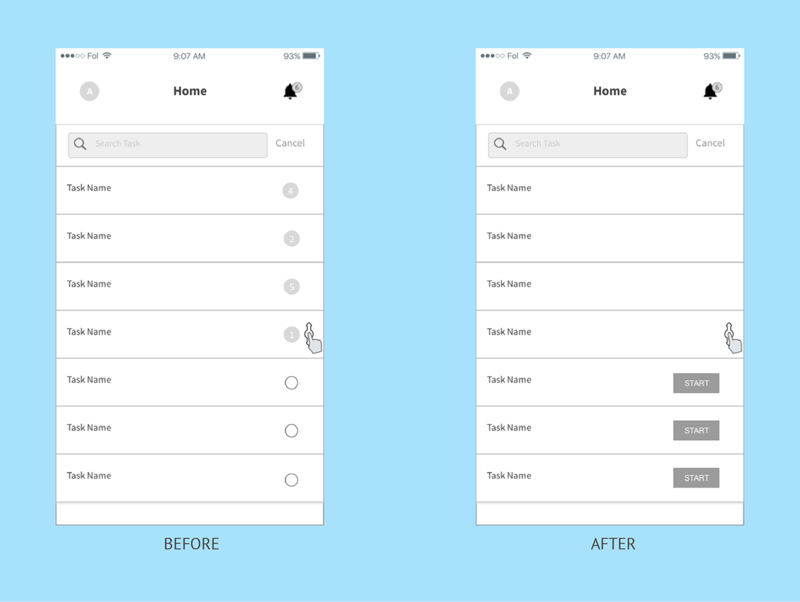 Despite the bottom navigation bar makes the app's navigation neat and clean, it can be changed to a more simple alternative due to the number of top-level views. Task steps viewing and managing needs to be prioritized. The tab panel with the use of the Kanban technique needs to be simplified. The screen space use needs to be optimized. The bottom navigation bar was removed to simplify the home page. The "Account" and "Notification" flow were located on the homepage. The number of steps left for each task were displayed on the homepage, which allows the user to grasp a quick view of task progress. The task steps managing flow has been prioritized. 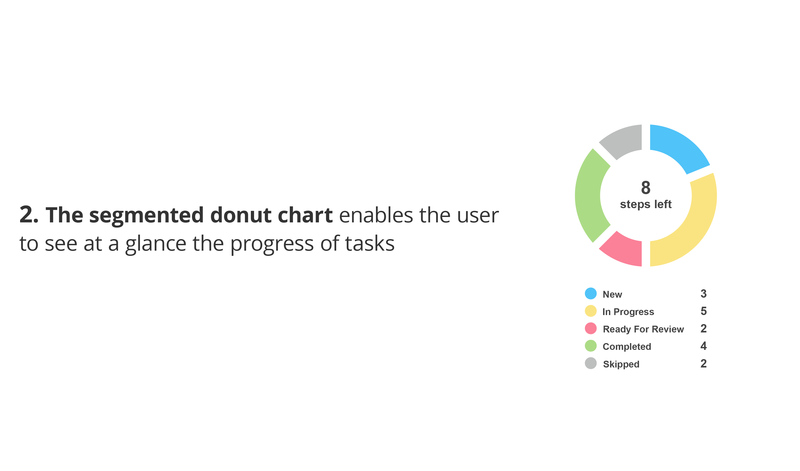 The progress of the task with the donut chart flow was incorporated into the task steps managing flow. The task details and the donut chart were displayed at the same page. The bubbles with numbers which display the number of steps left for each task might possibly mislead the user to click them. The non-selected radio button doesn't clearly communicate its interactive function. The categories of task steps management tab bar can be reorganized to optimize the space. Remove bubbles with numbers from the homepage; Add the number of steps to each category on the task steps management tab bar, which quickly indicates the progress. Replace the non-selected radio buttons with filled label buttons clearly indicate the interactive action. Reorganize the task steps into three major categories. which makes the user's finger can easily interact with each tab. 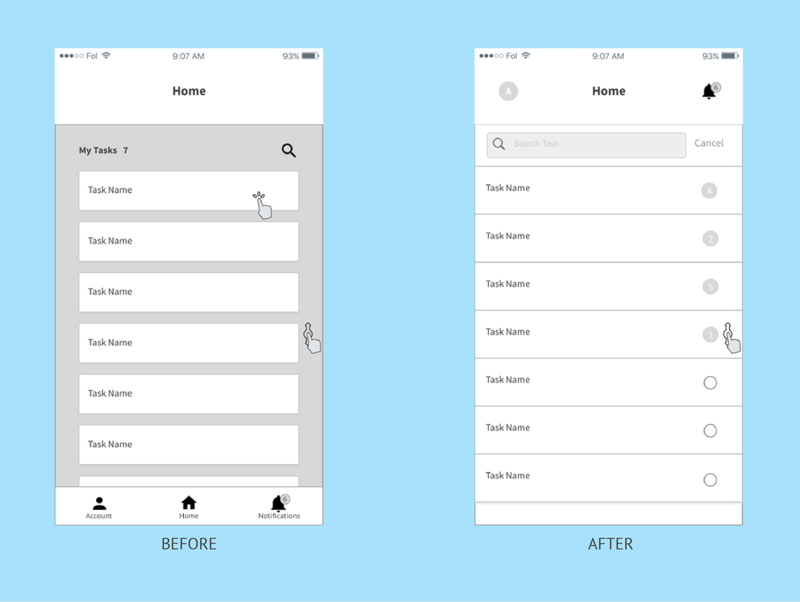 In addition to follow the iOS Human Interface Guideline as well as Material Design for Android, the minimalist approach was utilized to create the whole high-fidelity UI. Specifically, all screens have generous amount of white space which marks out the core functional elements of the app. A monochromatic color scheme based on the light sky blue theme color of the web-based product is used. Meanwhile, to maintain the consistency between the web-based product and the mobile app, the same set of colors that indicate task steps with the different status is used. Also, a set of simple and recognizable filled icons are used to represent the functionality as well as content. Designed an efficient experience for the Taskit mobile app by incorporating effective visual tools such as Kanban technique, segmented donut chart and activity history tracking. Simplified and optimized the user flow. 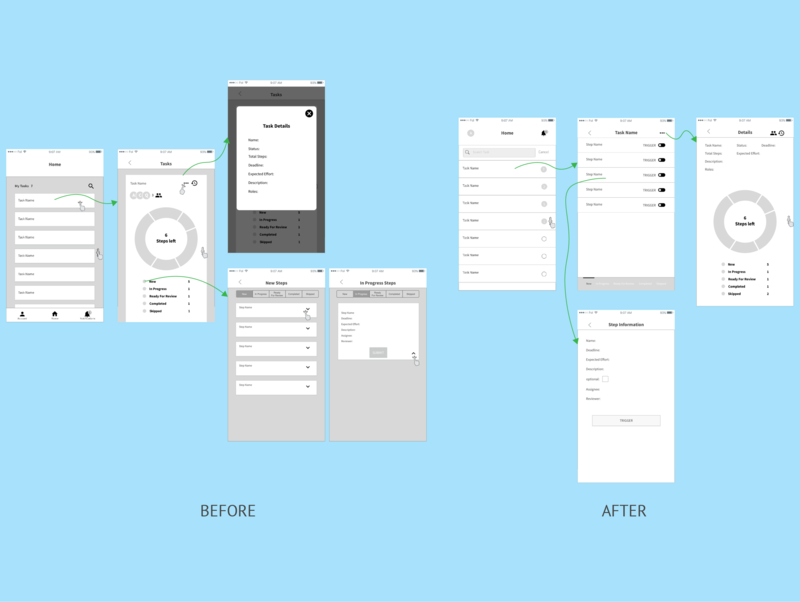 Documentation of different iterations makes me give the client better visibility of the evolution of the design as well as the progress at each iteration. Effectively collaborated with the engineering team in implementing the design.